Not only can you count on the experience of Ogden Decks to provide you with quality deck installation but also the attention needed to turn back the hands of time on damages and other affectations your deck can suffer. From broken boards to algae growth, we have the expertise required to provide quality treatment and material replacement that will bring back the beauty and strength of your Ogden area deck and ensure that you can depend on its use for many more years to come. Though hardwood decks and otherwise provide you with strength and durability, the ability for damages to be sustained to floorboard, support beams and stairs is always there. When you find that your Ogden area deck has suffered from physical damages of this nature and you need to have replacements brought to your property, you can count on Ogden Decks to provide you with the service needed. We ensure that we get the perfect match in material in order to hide patch work and to give you back the aesthetic and practicality you need from your home deck. Your deck rail is an important part of the finished product and suffering from repair issues to this area of your installation not only detracts from the overall stability but can also pose a hazard in the shape of loose connection that can collapse within a moments notice. Whether you need to return the rigidity of your decks railing or require a full replacement to be brought to your property, leaning on the expertise of Ogden Decks will provide you with the quick and affordable services you need in order to bring back strength, reliability and the overall aesthetic you previously enjoyed. As with any wood installation on the exterior of your home and the constant exposure to moisture and rain they suffer, the capability for algae and mold growth to take hold, especially on ground level decks is always high. Whether previous treatment have worn down over the ages, or your deck was installed without treatment for these possibilities, getting the right removal, treatment and refinishing service brought to your property will strip away any unwanted growthy and ensure that your property’s deck is given the right treatment to bring many more years of enjoyable use. 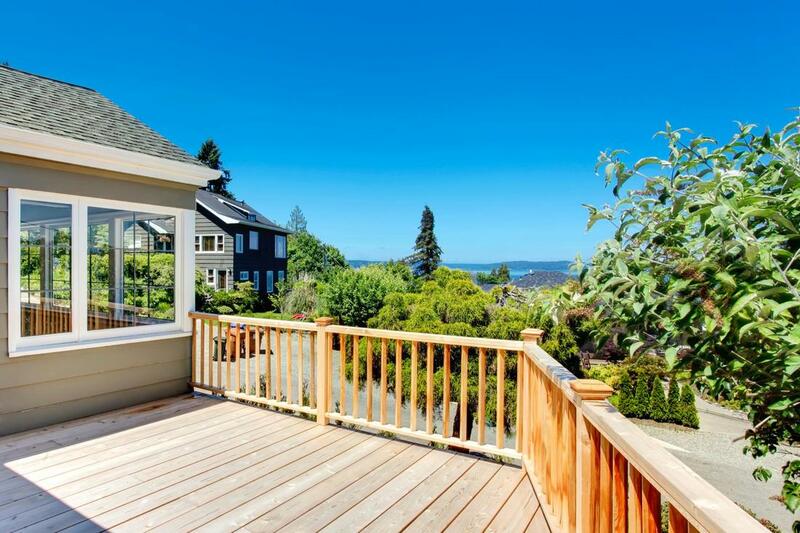 Whether getting replacement material brought to your deck, dealing with worn finishing that was previously applied or otherwise, you can be sure that the experts at Ogden Decks have the means to bring you a perfect finish. If you’re looking for quality staining, sanding and painting, algae treatment or otherwise, making the call to our offices in order to get the quality services you’re looking for will provide speed and dependability. When you need to bring back the beauty and reliability of your property deck, making the call to the local deck building experts will ensure that you get the best treatment at an affordable price.